Design-time quality analysis of software architectures evaluates the impact of design decisions in quality dimensions such as performance. Architectural design decisions decisively impact the energy efficiency (EE) of software systems. Low EE not only results in higher operational cost due to power consumption. It indirectly necessitates additional capacity in the power distribution infrastructure of the target deployment environment. Methodologies that analyze EE of software systems are yet to reach an abstraction suited for architecture-level reasoning. This paper outlines a model-based approach for evaluating the EE of software architectures. First, we present a model that describes the central power consumption characteristics of a software system. 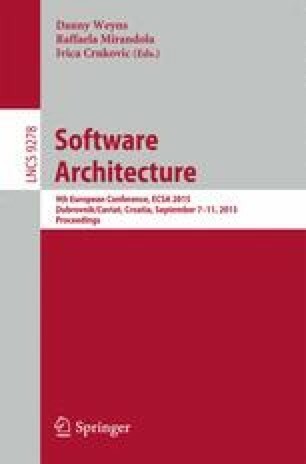 We couple the model with an existing model-based performance prediction approach to evaluate the consumption characteristics of a software architecture in varying usage contexts. Several experiments show the accuracy of our architecture-level consumption predictions. Energy consumption predictions reach an error of less than 5.5% for stable and 3.7% for varying workloads. Finally, we present a round-trip design scenario that illustrates how the explicit consideration of EE supports software architects in making informed trade-off decisions between performance and EE.